This time of year truly is the most wonderful time of the year but also the busiest. Between holiday parties, family functions, and sending out Christmas cards, it is hard to find time to relax and be present for the festivities. Today I'm sharing my five favorite ways to pamper yourself during the holidays! While you’re out and about shopping for holiday gifts and the perfect Christmas tree, schedule in some time to relax with your closest friends while getting your nails done! A fresh manicure is a quick way to pamper yourself! Plus, you’re sure to feel more confident and ready to tackle your to-do list with your nails done! I’m loving lush champagne hues, deep burgundy, various light greys for nail colors these days! 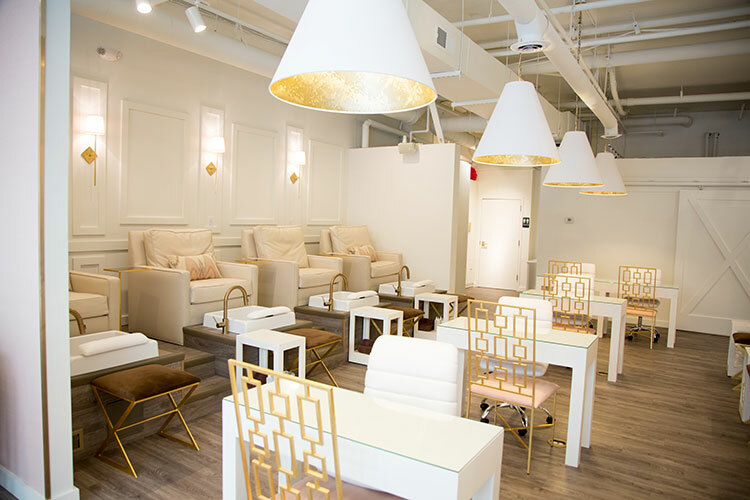 For our dear friends down south, this adorable nail salon, Paintbar, is my personal recommendation if you find yourself in the Raleigh-Durham area! Just admiring those gorgeous lights is relaxing for my design aficionado self! Even if it is only 30 minutes, give yourself the freedom to rest and do nothing. 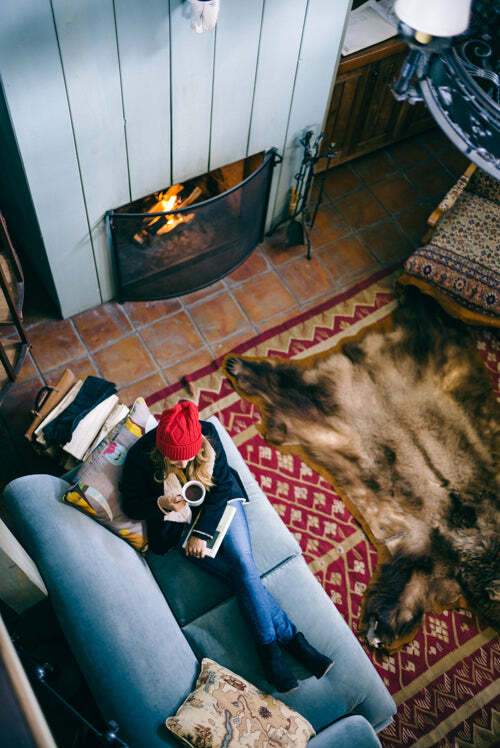 Grab a cup of coffee, a cozy throw blanket, and a new book. I’ve been absolutely loving All The Light We Cannot See, even though I’m late to the game with reading it! On the other hand, simply sitting in front of your sparkly Christmas tree, doing absolutely nothing may be just the ticket! I could stare at our adorable ornaments, each with their own story, for hours on end, blissfully reminiscing down memory lane. In my opinion, Christmas tress are best admired while listening to Christmas music, preferably Michael Bublé or Nat King Cole! Thoughtfully designed with relaxation in mind, our signature Spa Day Gift is the perfect way to recharge and unwind in the comfort of your own home, for a fraction of the price of a full day at the spa! 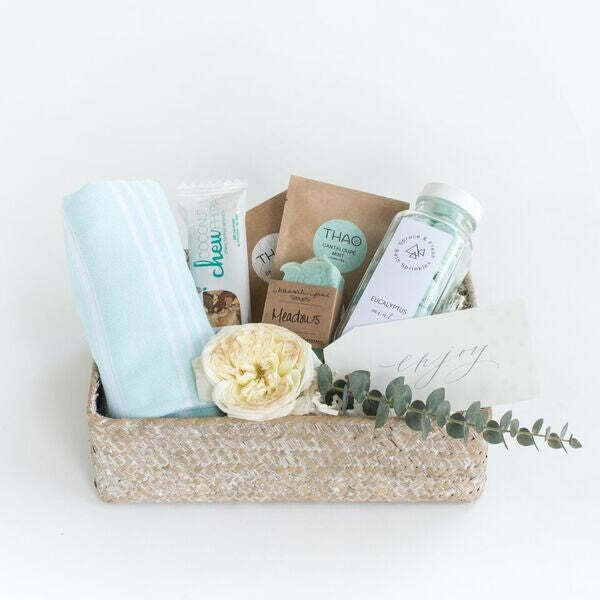 Fragrant soap, refreshing eucalyptus and mint bath bomb sprinklettes, and a delicious Thao Tea Packet in Cantaloupe are just a sampling of the goodies waiting for you. After you pamper yourself, you can grab a few more Spa Day gifts and give the gift of relaxation to all your friends! Once again, the best way to indulge in the Spa Day Gift Box is while listening to your favorite relaxing holiday carols! In my book, friend calories don’t count. You’re sure to feed your soul with some friend time while enjoying lunch! Not only is this a perfect way to de-stress for yourself, it'll be a wonderful pick-me-up for your friend as well! Why not treat them and let them relax from their hectic schedule and overwhelming to-do list? The more people pampered, the merrier! Since you’re already out with your dear friend, why not go on a quick stroll? Bonus points if it is up Fifth Avenue in New York City! I absolutely adore the window displays in The Big Apple! 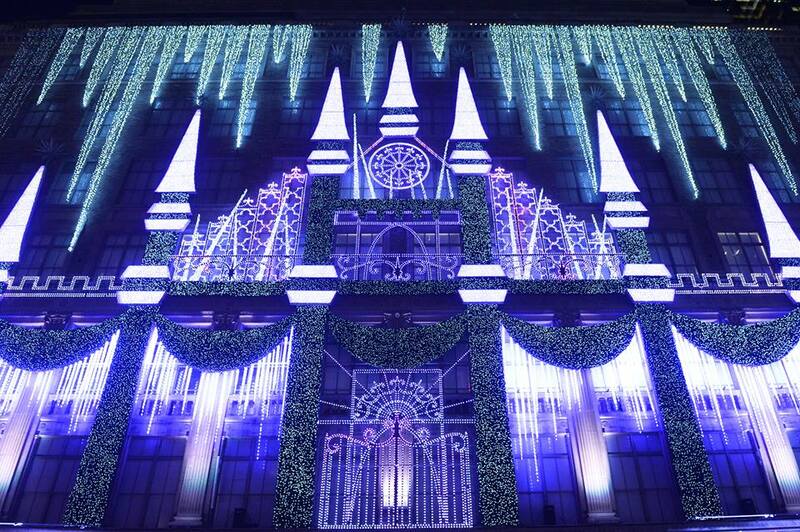 While Fifth Avenue definitely takes the cake, it is fun to see how every store spruces things up for the holidays. I hope you'll be able to de-stress while enjoying at least a few of my suggestions! Happy holidays everyone!